I am sitting in McD this morning near Mt Shasta, CA. Didn't order food, just using their Internet services. Heading to Napa for the workshop. Today's image was taken in Cambodia. 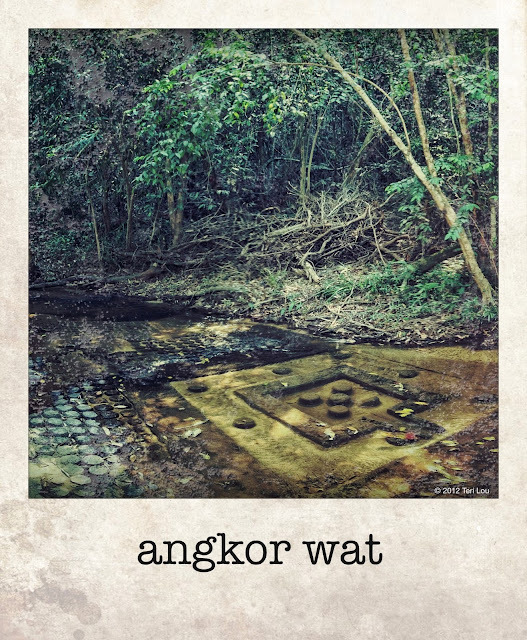 The carvings of Angkor Wat are also found in the river beds. Processed this morning with the help of Darkroom. At first I Rolled the Dice and then made modifications.